Dance your way to big wins when you play The Glorious 50’s Slots! There are FREE Spins, multiplied wins, a Pick Feature and more! Spin it to win it now! Take a trip back in time to the 1950’s, and let the juke box tunes accompany some great wins! 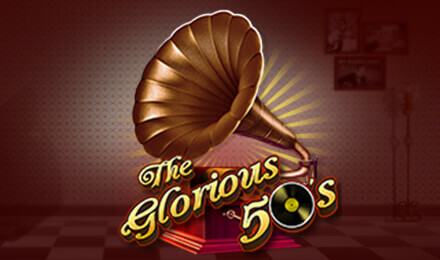 Play The Glorious 50’s Slots today, and be sure to look out for the Record Wild, which can help complete winning lines, as well as the Gramophone Scatter. When 3 or more Scatters appear, your FREE Spins Bonus will begin. These FREE Spins can be retriggered, plus there’s a Pick Feature with generous multipliers. Good luck!